The UEFA champions league is known for petty upsets and strange results, the biggest for the opening round has to be the great fall of Manchester City at home to Lyon on Wednesday, and as this context is concerned, Cardiff will be the one to face their wrath. No two games are the same and expectations will always be defeated but Manchester City are expected to respond; Newcastle have been unlucky with fixtures, they have lost narrowly to the best of teams including Spurs, Chelsea, Manchester City and Arsenal even though they really didn’t turn up against the Gunners, it’s Palace next for the Magpies and someone has to take responsibility, they need their first win, they must fire at Selhurst or begin relegation battles as early as September. Tottenham are the last to play on Saturday but it’s a difficult trip to Chris Houghton’s Brighton, they haven’t won a single game since tearing United Apart and even lost in the champions league to Inter from a winning position, talks of stadium curse must be banished, a dominant performance a result to match will help. For us, it’s a matter of doing what we have to do, let’s stick out our necks again as we deliver the premier league predictions for round 6. The last time these two met in the premier league was on the 1st of January 2007, it ended goalless and in fact, the reverse fixture at Vicarage Road ended all square too but it was a six goal thriller with Ashley Young completing his brace at the death to cancel out Damien Francis’ own goal. Fulham have done well so far, at least for a championship returnee, but considering how much they have spent, one will ask for more but they can take solace in the fact that they have a striker that is dependable in Aleksandr Mitrovic, they can build on their fierce midfield transition and hope their teenage sensation, Ryan Sessegnon starts firing soon. Watford were beaten last time for the first time this season by Manchester United but they can still hold their heads high and face Fulham with optimism. This lunch time kick off means a whole lot to the table on either ends, the likes of Manchester United and Arsenal would be hoping on a Watford slip up to climb while down the ladder, Huddersfield, Cardiff and Westham would hope the Cottagers don’t win so they can climb. It is Troy Deeney and Andy Gray up against Mitrovic and Andre Schurlle, it will be fun. Four teams are yet to win this season, Burnley is one of them and they will hope to end this horrible record against Bournemouth. This time last season, everyone was already feeling the weights of Burnley, they were difficult as hell to negotiate and not many survived Turf Moor, but they have been a different team this term, failing to defend well and rarely take chances as they have scored only three times this season, better than only Huddersfield. The Clarets lost at Wolves last time, it was down to their veteran goalkeeper Joe Hart to see them keep a respectable 1:0 score line and the earlier they start firing the best for them. Bournemouth are jolly difficult fellows, they don’t even know when they’re losing; the manner with which they swept aside Leicester last weekend shows their intent this season and they probably are the new Burnley, if not a Leicester or are they going to be champions? Ryan Fraizer and Callum Wilson are carrying the team and the rest are responding just fine. Statistics show a very evenly balanced affair, both pick wins here and there and it should be more of the same, slim win for either side or a full time draw very likely. For Burnley, they need a result, they need a win, the Europa distraction is over and no excuses will be tenable. Leicester must bounce back from that horrendous outing at the Vitality Stadium, whatever went wrong on the road must be fixed or the crazy calls for the head of Claude Puel will resume. The Foxes are 11th on the log with two wins in five, they come all out sometimes and overwhelm oppositions and they decide otherwise at other times to allow opponents rule. Huddersfield on their parts have lots of problems, they are doing nothing right and can’t even get the ball to cross the line; David Wagner has a championship standard squad and should never be in the premier league, with due respect, they don’t look like a team that has any idea of what winning means and it doesn’t look like anything will change in this fixture. Huddersfield’s only notable win over Leicester in recent time is the 2:1 FA Cup success over the Foxes in 2013, in the league, Huddersfield can’t remember the last time they got the better of Leicester with the 3:0 loss on the first day of 2018. Man for man, Leicester have the better team, manager for manager, it’s somewhat down to what the boys do on the pitch. Cardiff beat Manchester City 3:2 on this ground on the 25th of August 2013, their solitary triumph over the Citizens in a very long time and with Pep Guardiola’s September dominance over in midweek in the hands of Lyon, Cardiff can hope they will ride on that and shock the champions. The Welsh side did score first at Stamford Bridge but it didn’t end well, Eden Hazard happened and the rest is history. Manchester City outclassed Fulham 3:0 last weekend but that was followed by a fourth consecutive defeat in Europe, making the Citizens the first English team to lose four consecutive European game with loss to Basel in the second leg of round of 16 last season, losing both legs to Liverpool in the quarter finals and losing to Lyon in midweek, that loss on Wednesday was Guardiola’s first loss in September in any competition. This fixture means the world to both sides for different reasons, Cardiff wants to halt the rot, losing to big guns consecutively could damage morale and a win against the champions will drive them to delirium; For the visitors, they can’t afford another slip up, they must rise above complacency and re invent the team, the fear factor must return. The likes of Riyad Mahrez must understand the team isn’t a one man affair and he must learn to share, people are in better positions to score, you don’t just blast. The next of the simultaneous fixtures is at Selhurst, home of Crystal Palace and it’s a good time for the Eagles to build on their Wilfried Zaha winner last weekend and rise to the occasion in the league. The Ivorian returned to the team after injury layoff to score at Huddersfield, but what becomes of the team when the former Manchester United winger doesn’t start? Newcastle have to turn the corner, they didn’t come to the party in the 2:1 reverse at home to Arsenal last weekend, the Gunners are fragile and they should have capitalized on the high line to punish them but they weren’t interested. Rafael Benitez knows a thing or two about the premier league and so does the oldest manager in the league, Roy Hodgson, it’s now down to who wants it more and who will come to the party on Saturday. It dates back to 2015 for a Palace win over the Magpies on this ground but looking at the present dynamics, it will take more than history to decide; Jonjo Shelvey is key for the visitors, we don’t know if he’ll be available as he sat out the loss to Arsenal last weekend, Kenedy and Lascelles are major doubts with the outstanding skipper hauled off last weekend. For the hosts, will they trust Christian Benteke again? The big Belgian was not in the squad that went to triumph at the John Smith Stadium, they do better without him don’t they? 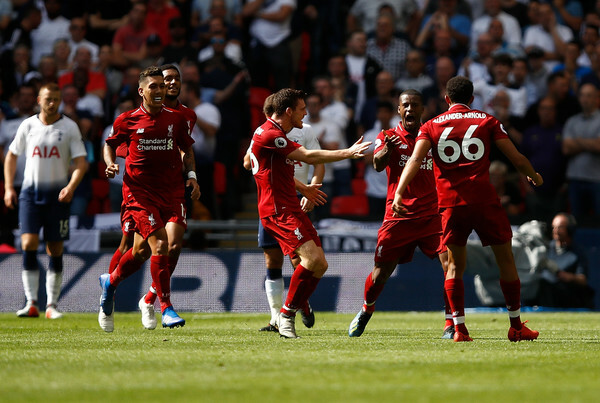 Liverpool have won every game they have played this season but same scenario has played out in five of their six successes this term, the score in the first half, dominate and press hard, only to allow the opposition back into the game late on; Palace troubled them in the second half, Brighton could have scored if not for Allison, Leicester could have gotten a point had they gotten more minutes on the clock, and most recently, it took a late Firminho curler to help them past a resurgent PSG. Southampton on the other hands have lots of their own players to face on Saturday, Liverpool have turned St Mary’s Stadium to their shopping ground and it will haunt the Saints at some points; Southampton are still learning the ropes this season, they are very far off and closer to the drop zone than the end they would love to be, the stalemate with Brighton from a winning position means they only have that win at Palace as their only success this season. It is Mark Hughes up against the exciting Jurgen klopp, the trio of Salah, Mane and Firminho should have a filled day against the unstable Sotton defender, would be seen how the fans see Van Dijk especially, considering the circumstances surrounding his mega transfer to Anfield. Manchester United seem to have turned the corner, they were comfortable winners in midweek over Young Boys in Europe and held on to win at Watford as the Hornets surged back, the hoodoo is lifted, the gloom has disappeared and it’s only a matter of time before they become dreaded again. It was nice to see Anthony Martial scoring again, we won’t see Rashford this weekend, he’s serving his dpmestic ban but he put in a nice shift on Wednesday. Wolves were up against Joe Hart last weekend and it took a tame strike from Jimenez to hand them victory on a day the former City stopper rose to the occasion; the team is fearsome, they are quick, compact and annoying with strong tackling midfielders and tough defenders. Manchester United only have one job to do here, win the midfield battle, if they allow Ruben Neves and Joao Moutinho to run the show, they will have to do more than relying on David De Gea to avoid conceding. Brighton are fast building a reputation as a nuisance of a team, they know how to take their chances, they were two down at Southampton on Monday and rallied to a draw before the Saints could find their rhythm late on, but one question they also need to fix is the way they switch off at the back to allow cheap goals past Matt Ryan. Tottenham are in trouble, they must admit it; when Mauricio Pochetino said his team is not a contender of any sort in any competition this season, a lot of people felt he was up to some mind game but in the real sense of it, Spurs have it all to do this season. Stadium talks must wait, they need stability, talking Spurs, they have a squad of talented players but their fitness matters, there is little or no chance of adding a notable player to the squad in January, they have to hope no key player gets sidelined in the course of the season and the school boy errors that have made them lose games must be cut out, the same team that weathered the United storm to win 3:0 has lost three straight games since them with the latest loss coming from a winning position against Inter Milan. This London derby would be fun, on paper and by results so far this season, it should be a one sided affair, but the Hammers that went to Everton and conquered will have something to say about that, with the way Everton impressed before that fixture, not many gave the Hammers a chance but Yarmolenko rose to the occasion and won at Goodison Park. Chelsea need no introduction, they are one of the two teams with a perfect start and they don’t look like relinquishing that any time soon. They went away in midweek in the very difficult europa league and won again, albeit by very slim margin. The team is ticking, they press hard, force oppositions to commit in dangerous positions and with Eden Hazard in this rampaging form, he has scored or assisted in the five games he has played in so far this season, Westham have a long afternoon after service on Sunday. Last season, it was this fixture that ended Chelsea’s title defense with Antonio Conte conceding after Marko Aurnatovic’s winner that his team wouldn’t be winning the league, the Italian is no longer in charge but another Italian is in town, one can’t tell if the Hammers are worthy of disrupting the narrative but they will try. Arsenal have won two away games this season, to think they only won one on the road this year before the victory at Cardiff, they have one of the best home records this year, they do have a great home record though and with Everton on the cards, Arsenal have an outstanding record against the Toffees. Last time out, Arsenal beat Newcastle with a commanding second half display and went on to start Unai Emery’s European story as Arsenal with a win on Thursday, they look to be on the right track, upward and forward, but will they ever keep a clean sheet? Everton have drawn games they should be winning, they had no business dropping points against Huddersfield, they were two up against Bournemouth but somehow managed to end the game 2:2, they will have Richarlison back for this fixture and he should be a major boost but can they stop Arsenal from scoring? The Gunners put five past Everton on both grounds last season, they always have their way against the Toffees but will it change this time? Man for man, the visitors added a lot of new men, Andre Gomes isn’t ready, Lucas Digne can cause troubles down the left depending on the version of Hector Bellerin that comes to party on Sunday but one will expect Pierre Emerick Aubameyang to continue his scoring form from midweek and with Everton struggling with their center back pairings, it might be one of those away days to forget for Marco Silva’s Everton.